I did eat breakfast, lunch and a snack today;-), but dinner was definitely the highlight!!! 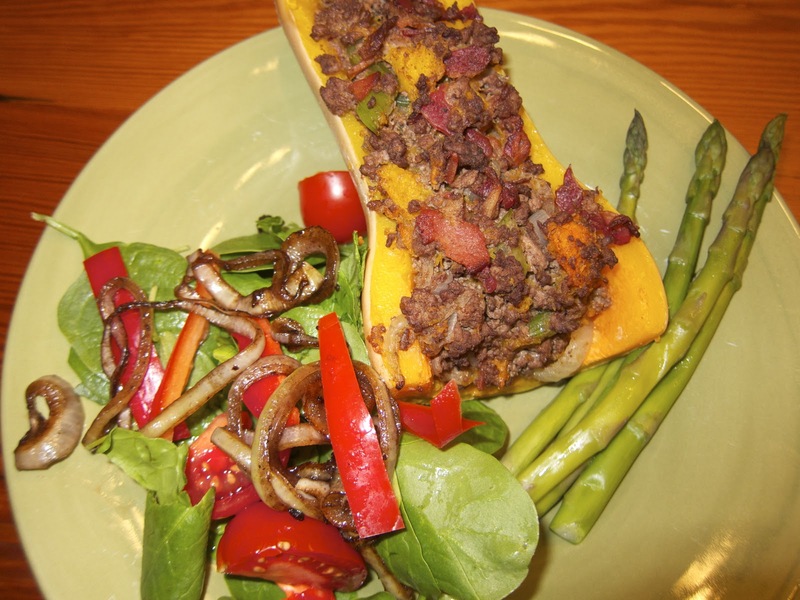 I got this butternut squash recipe from www.civilizedcavemancooking.com and it was amazing. In fact, my three-year-old asked if I could make it every night!! 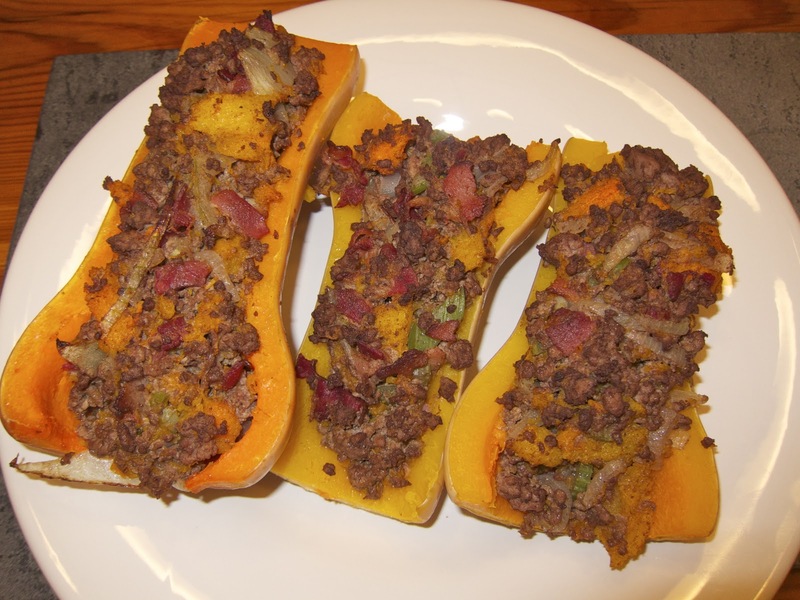 Note: If following this recipe, I would cook the squash longer (maybe 45 minutes) before pulling it out of the oven, scooping out some flesh and adding the meat mixture. It was a little tough to scoop and not as tender as I would have liked in the end. But, I think that’s an easy fix. YUMMY flavor and pretty east!